Pronovias Mildred Bridal dress in draped tulle with sweetheart neckline. Skirt with tulle frills and nylon ribbons. A fitted tulle bridal gown with a pleated tulle sweetheart bodice and full ruffled tulle skirt & train. This dress is brand new in box, custom made with 4" of extra length. Perfect for a tall bride or one who wants to wear heels with no worries. 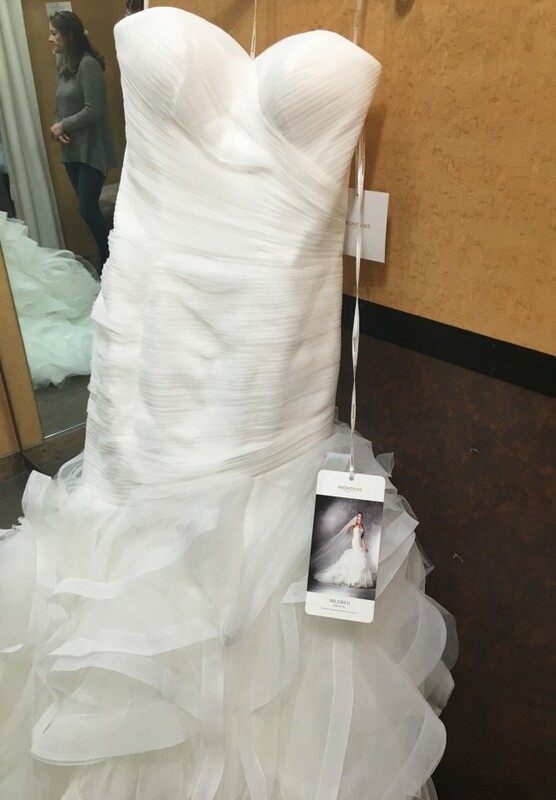 Just arrived from the designer, Pronovias and comes with the custom garment bag. This dress has never been worn, altered or even tried on.